$35 From entry fee goes to Cash Prizes! 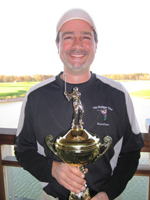 The Mulligan Tour Championship 2010 will be played this year at Legends of Niagara Battlefield Golf course located in Niagara Falls, Ont. Any Player from any Mulligan Tour Chapter with 6 singles event rounds played will qualify for the Tour Championship. (2 Day events count as 2 rounds) If you have any questions about your qualifying please contact your chapter Director or Tour Headquarters. You must confirm your room by Monday October 9th. You can also go to http://www.niagarafallshotels.com or to find another room in the area at a fair rate!